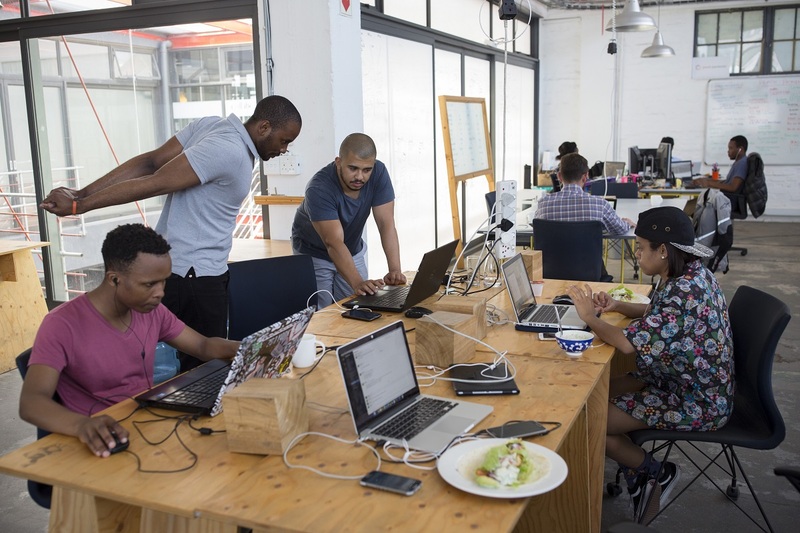 Woodstock Exchange, a shared office space for entrepreneurs and small businesses, in Woodstock, outside central Cape Town, South Africa, November 22, 2016. Harriet Kariuki is an emerging markets analyst in Kenya where she surveys the digital landscape and local start-up scene to identify investment opportunities for foreign companies, including many from China. Harriet also writes extensively on China-Africa tech issues on LinkedIn, where she discusses both the promise and peril of Chinese technology investment on the continent. Not surprisingly, there is a very different outlook on these issues and the African market as a whole in Beijing, according to Zahra Baitie, the China Director at the consultancy Development Reimagined and a co-founder of the events company Kente and Silk.